Gothic nails aren’t typically vibrant and colourful but hello, it’s summer! I labelled this manicure ‘Gothic’ mainly because I utilised our new Gothic stickers for this design. I didn’t use the entire set, just the two lower lines and the Gothic roses can be used for another manicure. 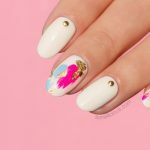 Maybe you’re wondering why such a freehand nail art aficionado would suddenly turn to stickers. 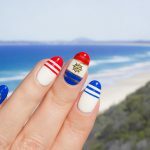 Well, first of all, I wanted to make advanced nail art accessible to everyone. 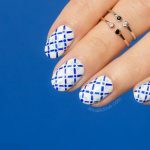 These stickers are linework without the hassle and they look like perfectly executed freehand nail art. Ok, I could go on and tell you more about how ultra thin, super sticky and generally amazing these stickers are but let’s save it for the launch of the entire range… SAY WHAT? 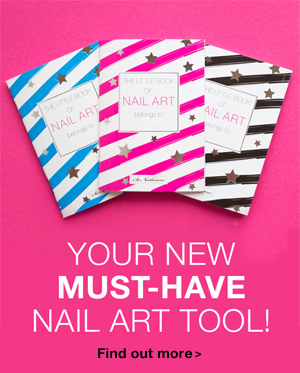 Yes, the four styles that we launched during the re-launch of the SoNailicious Boutique were just a sneak peek. 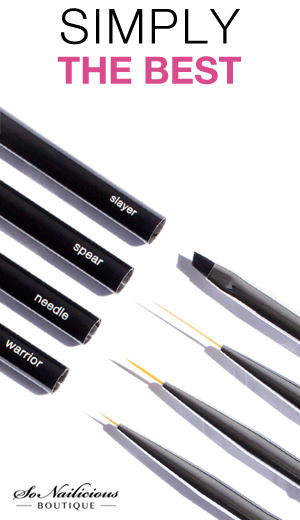 The full range will be revealed next week! So stay tuned, and for now, enjoy the photos of the summer Gothic nails. 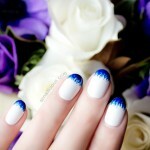 Paint all nails white and wait until nail polish is dry. 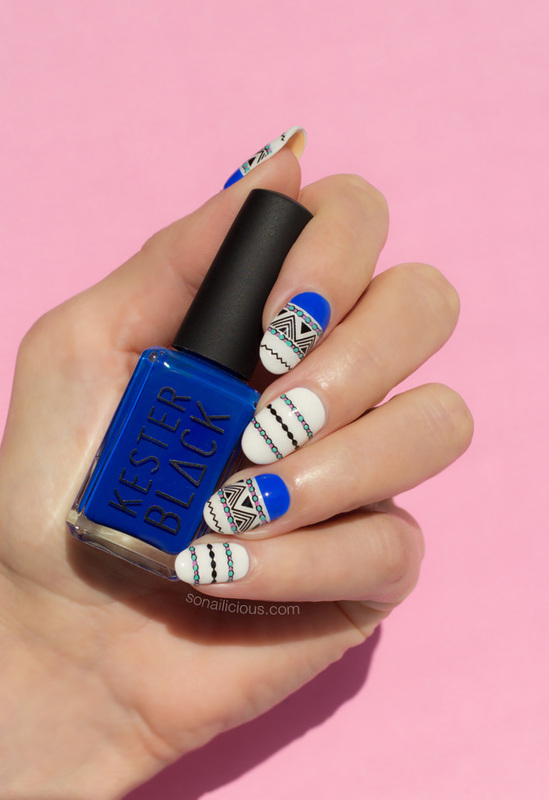 Add bright blue details on pointer, finger and thumb nails. Separate the triangle and zigzag patterns from the sticker sheet and apply it on pointer, finger and thumb nails as pictured. 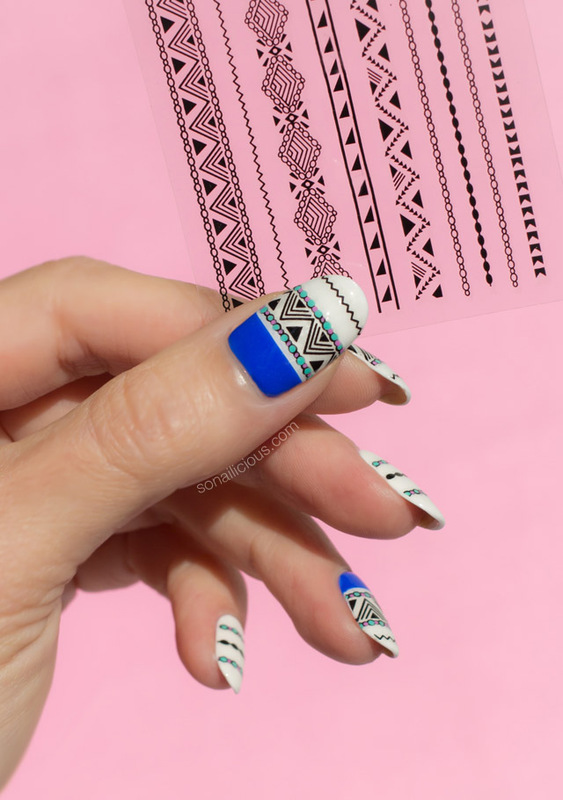 Separate the chain pattern (3 lines) from the sticker sheet and apply it on on middle and little finger nails as pictured. Use green and pink nail polish and tiny dotting tool to fill in the chain patterns on all nails. Apply top coat and your’re done! Easy right? 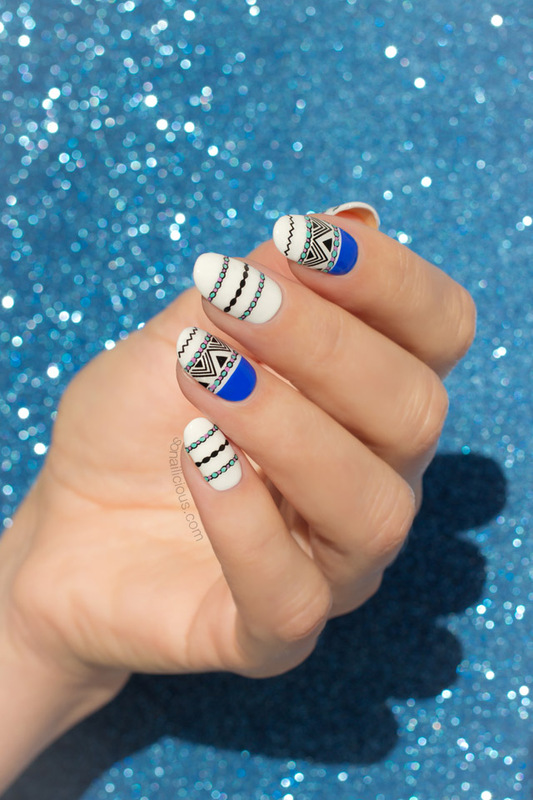 How do you like the idea of simplifying the process of creating detailed nail art by using nail stickers? And how do you like my summer spin on Gothic nails?